Movie Vine covers film, celebrity and entertainment news, reviews and interviews. This is an online site I started back in 2004 to share news from actors, actresses, directors, producers, filmmakers (large and small), publicists, marketing people, etc. Highlighting celebrities and talented people online who verify themselves with a video to help keep fans safe from fake/poser profiles and social networks. The showcase pages also have links to the official websites and social networks. The online entertainment magazine highlights interviews and entertainment news from the showcased people. I started this website due to personal experiences while helping friends & clients establish their online presence. Studio Matrix is an internet business providing consultation, web design, graphics and online publicity. Studio Matrix works with many people in different fields, but mostly elects to work in the entertainment/movie industry area. Studio Matrix also works along with publicists to help their clients gain an increased online presence and connection with fans. Free printables for parents, teachers and more. I started this site in 2001 and it’s grown to have quite a following over the years. Whenever I needed to create a chart for my kid’s chores, health, yearly calendars, etc., I’d share it with other people through this website. I’m always asked: “What is it that you do?” I do web design, graphics, internet consultation, online publicity, social networking, publisher/editor of web content, ebook writer & more. I try to thank everyone for being so supportive of me, my family and my projects. If I haven’t thanked you, please know that I’m ever grateful and wish you the very best life has to offer. I’m the wife of an awesome husband (we’ve been married since 1987) and the mother of three wonderful sons. Prior to having children, I studied business administration in college. After having children, I became a self-taught online entrepreneur who thrives on the internet and has been for the last 20 years. What started as a hobby became my creative career. My passion was first brought on by my family and then extended into the areas of movies, music, art, novels, photos and computer graphics. I find inspiration from talented people who are working on fulfilling their dreams as I am. My experience is with web design, graphics, internet consultation, online media & publicity, social networking, publishing & editing of web content, e-book writing and more. My websites have been covered and I’ve been interviewed / published in many different media outlets; online websites, radio, newspapers and magazines such as the Wall Street Journal and Revenue Magazine. I work with many people in the entertainment industry and beyond; including actors, musicians, directors, producers and more which you can find at StudioMatrix.com. I’ve also been attached to a couple of films as an associate producer. I really dig movies and music. Any stress in life seems to be minimized when you can turn off the thought process for a while by watching a movie or listening to music. My favorite type of movies include fantasy, sci-fi, romance and some drama films. I hardly ever watch horror movies.. there would have to be a very good reason for me to watch one. 1 ) Entertainment Site Interview – Mum2Go (2013) – Interviewed me about my websites and balancing work & family. Thanks Zareen! 2) Website Mention – Bulldog Publicity – Pt 1 : “Wendy Shepherd On Line Media Marvel for the Stars” & Pt. 2 : “Speaking of Saints, Sites & Tiger Blood” (2010) – Article talks about me, Officially Plugged In and more. Thanks Jim Lavoie! 3 ) Entertainment Site Mention – Genuine Admirer (2010) – Article talks about me and Officially Plugged In. Thanks Cristina! 4 ) Website Mention – Betties (2010) – Wonderful group of ladies. They wrote me a lovely article entitled: “Love Letters to Wendy, Our Internet Goddess”. Thanks Betties! 5 ) Entertainment Magazine Interview – Blast Magazine (2010) – Interviewed me about Officially Plugged in. Thanks Sarah and Blast Magazine! 6 ) Entertainment Site Interview – Cinema Static (2010) – Interviewed me and talked about Officially Plugged In. Thanks Bruce! 7 ) Book Mention / Interview – The Online Millionaire (2007) – I was interviewed by a sweet author named Amy. The interview made it into a 6 page section of a book she wrote that came out in January 2007. The book is called The Online Millionaire. I haven’t made a million dollars, not even near it, but my story is one that seems to inspire people. 8 ) Online Radio Interview – Stuart Tan (2007) – I did a fun and informational TeleInterview with Stuart Tan (such a NICE, smart guy!) in which he titled the interview “Secrets of a Superstar Work-At-Home Mom”. Stuart Tan’s website is called “Internet Marketing Singapore“. *Personally, I think I giggle too much, and my husband tends to agree. I’m happy, what can I say? 9 ) Online Radio Interview – The Affiliate Thing (2007) – My very first audio podcast was with Lisa Picarille and Shawn Collins of the Affiliate Thing. It was the 5th show they did on Blog Talk Radio. 10 ) Newspaper Interview – The Wall Street Journal (2006) – I can officially say that I have been interviewed by and published within The Wall Street Journal about my success with affiliate programs and affiliate marketing. I talked with a reporter named Kelly Spors. We spoke for about an hour and again on later for about an hour. She is very sweet.You can find the article in an online edition on Page B8. Unfortunately, I can’t post it here to share with you or any scans of it as they require people to pay to use the material. I have a physical copy of it for myself though. Congrats to my good friend Shawn Collins who was also interviewed and published in the article. This industry has certainly been growing and changing since we started in it. 11 ) Magazine Mention – Revenue Magazine (2004 & 2006) – I was interviewed for Revenue Magazine, which deals with online affiliate marketing and people who thrive doing affiliate programs for a living. The magazine covers many other aspects of online marketing as well. This is really a great magazine. I was first interviewed along with some other people, and a couple of years later a follow-up interview was done. I have magazine scans that I am allowed to share with you below… just click on the image to view the larger version. 12 ) Newspaper Interview – The Emmitsburg Dispatch (2001) – This was an interview done by publisher Ray Buchheister. 1 ) Entertainment Site Mention – Movie Vine (2010) – Article talks about Officially Plugged in. Thanks Kaleb! 2 ) Entertainment Site Mention – Napier’s News (2010) – Article talks about Officially Plugged in. Thanks Jim! 4 ) Entertainment Magazine Mention – Blast Magazine (2010) – Interviewed me about Officially Plugged in. Thanks Sarah and Blast Magazine! 5 ) Entertainment Site Mention – Cinema Static (2010) – Interviewed me and talked about Officially Plugged In. Thanks Bruce! 6 ) Entertainment Site Mention – Rama’s Screen (2010) – Talked about Officially Plugged in and it’s benefits. Thanks Rama! 7 ) Online Radio Mention – Film Courage (2009) – Listen to Paul J Alessi be interviewed by David Branin and Karen Worden where they talk about OfficiallyPluggedin.com, his entertainment career and his new Knuckle Draggers film. Thanks Paul! 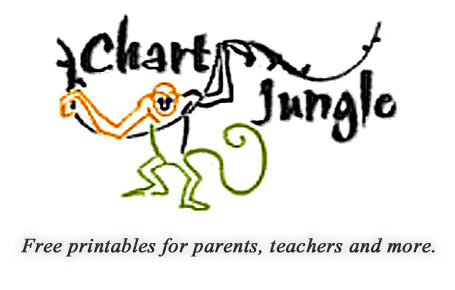 1 ) Magazine Mention – PARENTS Magazine (2007) – Many new readers have informed me that my Chart Jungle (free printables) site has made a magazine appearance in the November issue of PARENTS Magazine on page 194. It is a an article written by Nancy Rones about potty training. Click here to see the large image of where Chart Jungle was mentioned. Thanks to Nancy Rones, Parents Magazine and everyone who wrote in about it as well as my friend who sent me the scanned image. 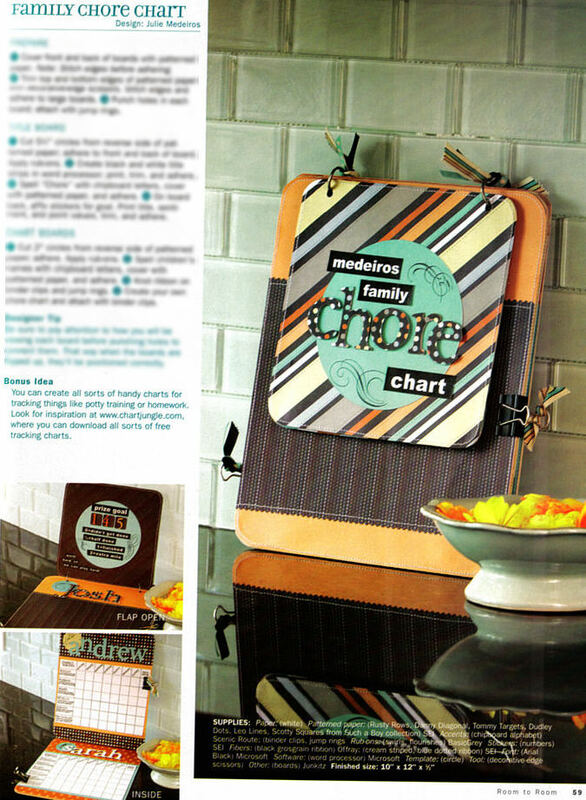 2 ) Magazine Mention – Paper Crafts Magazine (2007) – I was informed that my Chart Jungle (free printables) site made a magazine appearance in Paper Crafts magazine, Room to Room. This looks like a fun magazine if you are into making paper crafts for home decorating. Click here to see the large image of where Chart Jungle was mentioned. I blurred out the content of the page for the reason that this is a magazine by subscription and didn’t want to post their content. Thanks to a subscriber of mine, Jo, for letting me know about this… and thanks to Paper Crafts magazine. 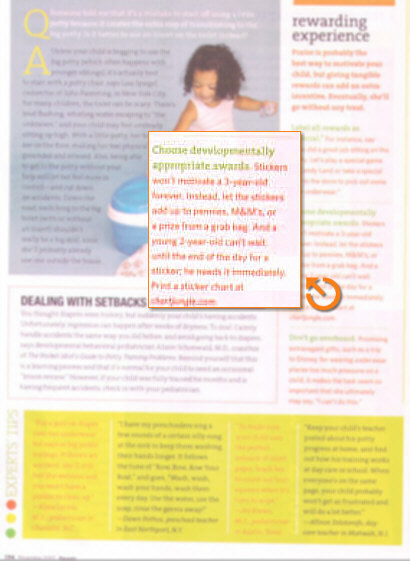 3 ) Magazine Mention – Practical Parenting (2006) – My Chart Jungle website was mentioned in the Practical Parenting Magazine of Australia, in a dotcom section of the magazine. I contacted the editorial assistant, Alicia, of the Australia magazine. She informed me that Chart Jungle did appear on their ‘dot.com’ page (pg. 12 of the June Practical Parenting). This Australian magazine is through Time, INC. , has a readership of 112,000 (as of 2006) and is run by Editor Lynne Cossar. Click here to see the article. Thanks goes to a subscriber, Sue, for the scans… and thanks to Practical Parenting. 4 ) Radio Mention – B98 Fm Radio (2006) – One of my subscribers, Krista, wrote and let me know about the radio mention for my Chart Jungle website. She told me it was B98 FM in Wichita, Kansas. Brett, one of the morning talk show hosts, was talking about schedules for his own home and a listener called in and told him about Chart Jungle. Thanks to Krista for letting me know, thanks to whoever called in, and thanks to Brett for presenting the topic in the first place. I saw several signups from it for my free printables. 5 ) Radio Mention – KEYN 103.7 Fm Radio (2006) – I am really liking Wichita, Kansas, and I haven’t even been there, that I can think of. A subscriber, Nita H., wrote on May 26th, 2006 to let me know my Chart Jungle .com website was mentioned on the KEYN 103.7 FM radio station. I asked her what was mentioned and she said “It was on either that morning or the morning before. They were discussing getting family life under control and asked the audience if they scheduled their childrens’ days. One of the listeners called in exclaiming how wonderful your site is.” My husband mentioned that it seems Wichita has a great network of parents helping each other. I think it is great! -Thanks to the listener who called in! Thanks Nita for letting me know! Thanks KEYN 103.7 FM Radio! 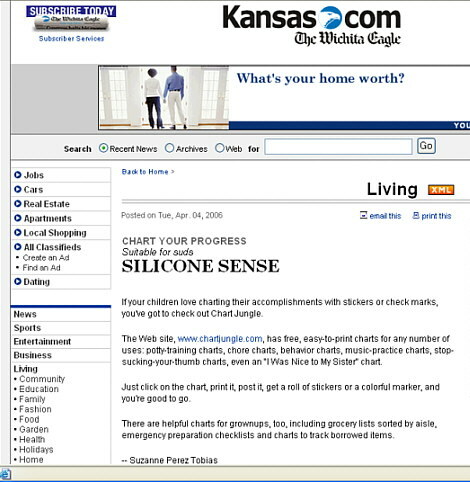 6 ) Newspaper Mention – The Wichita Eagle Newspaper (2006) – Suzanne Perez Tobias of “The Wichita Eagle” newspaper reported my ChartJungle.com site as one of a dozen web sites “designed to keep your life running smoothly.” Thanks Suzanne! 3) Television Mention – Home and Garden Television (HGTV) Listed TipzTime.com as a resource for home tips. The program was called “21st Century Home”. The Episode is no longer listed on the website. 2011/04/18Officially Plugged in reaches 100! Officially Plugged in reaches 100! 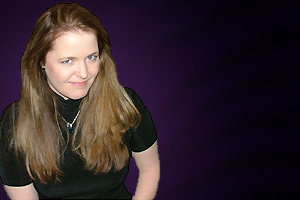 I’ve just incorporated a new look for WendyShepherd.com for the New Year! This isn’t a custom design of mine, but I bought it from a talented designer and then tweaked how I wanted it to be. It’s a time-consuming task to design or redesign a website, but in the end it is well worth it. A website wears the new look a long time… it’s not something we switch out like having to buy new clothing. It’s an image we want to reflect, whether it be fun or serious, funky or professional. It’s amazing how a New Year celebration can make you analyze the previous year. Was enough quality time spent with loved ones? Were milestones reached? Too late to regret as we usher in the New 2011 Year. I strive to have more fun this year… and I hope you keep striving to do something you love in this short life we …live. I’m blessed and thankful no matter what year it is. : ) HAPPY NEW YEAR!! !